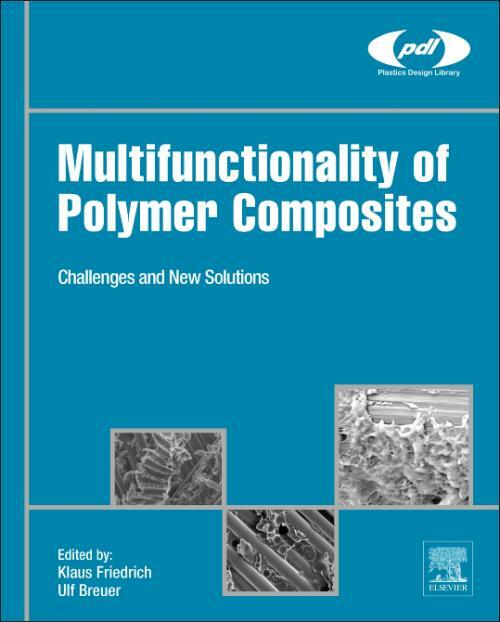 Multi-Functionality of Polymer Composites: Challenges and New Solutions brings together contributions from experts in the field of multifunctionality, presenting state-of-the-art discussion of this exciting and rapidly developing field, thus key enabling technologies for future applications. The text will enable engineers and materials scientists to achieve multifunctionality in their own products using different types of polymer matrices and various nano- and micro-sized fillers and reinforcements, including, but not limited to, carbon nanotubes and graphene. In addition, technologies for the integration of active materials such as shape memory alloys are discussed. The latest developments in a wide range of applications, including automotive/aerospace, electronics, construction, medical engineering, and future trends are discussed, making this book an essential reference for any researcher or engineer hoping to stay ahead of the curve in this high-potential area. Provides information on composites and their inherent engineering advantages over traditional materials. Presents state-of-the-art information on this exciting and rapidly developing field, enabling engineers and materials scientists to achieve multi-functionality in their own products. Includes the latest developments in a wide range of applications, including automotive/aerospace, electronics, construction, and medical engineering. An essential reference for any researcher or engineer hoping to stay ahead of the curve in this high-potential area. Klaus Friedrich was formerly a Professor in the Institute for Composite Materials (IVW GmbH) at Technische Universität Kaiserslautern (University of Kaiserslautern), Germany, and is now a part time Professor of Materials Science at the King Saud University, Saudi Arabia. He is an editorial board member of several key publications in the area, including Composites Science and Technology, contributes to committees and conferences internationally relating to composite materials, and has received numerous awards and honours throughout his prolific research career.